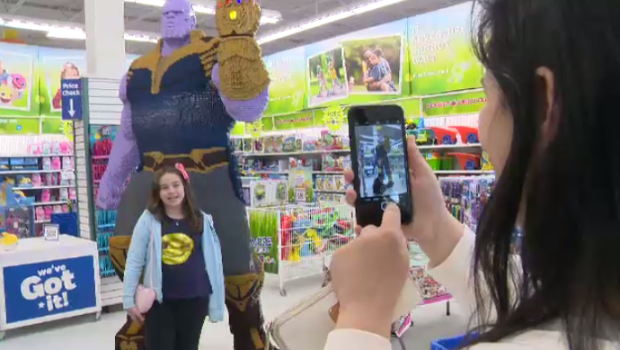 Some superheroes, and one notorious supervillain, are making an appearance at a Kitchener toy store ahead of the premiere of Avengers: Endgame. 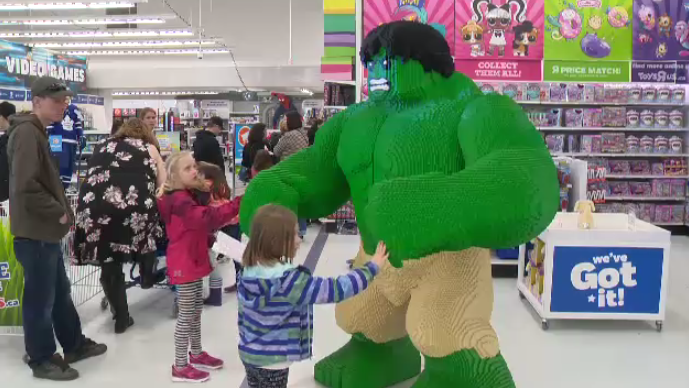 Supersized LEGO statues of Thanos, Spiderman and the Hulk have been set up at the Toys “R” Us on Fairway Road. The structure of Thanos – one of the most powerful villians in the Marvel Universe – stands 7 feet tall and weighs 750 pounds. 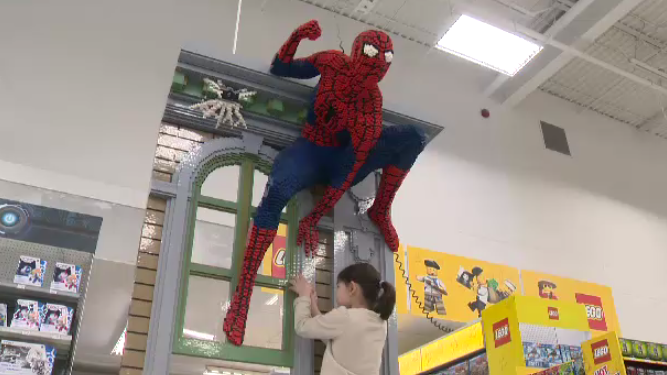 It was created by designers at the LEGO model shop in California. Fans can pose with the movie characters until May 4 during store hours. This is an updated story. A previous version said the characters would be available for photos until April 13 at 7 p.m.